It’s been over four years now that Alex O’Loughlin has been a part of American television. I only know one person who first discovered him on The Shield. Most became a fan from watching him in his first starring TV role as Mick St. John in Moonlight (2007-2008). It was the second episode of that series where Alex’s acting just blew me away. I suppose it was also the fact that I had a preconceived notion that vampires looked a lot different than this handsome man, and were just evil creations of good writers. For me, Alex’s portrayal made vampires real. I was definitely hooked, and I had never been interested in the genre before. I’m sure a lot of Alex fans feel the same way. Of course, I watched and learned all I could about the actor. Again, like most of his fans. It was when I joined a few fan forums that I found out that there are people out there in cyberspace that just behave badly. The majority was respectful of their fellow fans and of Alex, but there were some people who had no qualms about bashing each other for a differing opinion, and expressing their anger for the choices Alex was making. Their personalities screamed know-it-all. Some of these people are still around, and frankly, I find them annoying. In the name of fair play and decency, I just want them to shut the hell up. 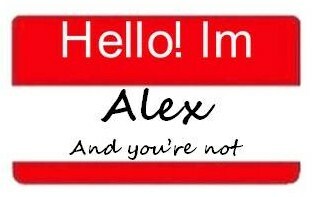 No one knows anything about Alex except Alex. We can only speculate about his life. Now that’s good, clean fun. When Moonlight was cancelled there was a group that rose up which became known as Alex’s “rabid” fans by the media. Not only did they want Moonlight back on the air, they felt a need to protect Alex from the baddies at CBS. They wrote letters, emails and made phone calls in the name of love. Love for Moonlight and love for Alex, which brings me to my point. I love Alex. Not only do I enjoy watching him bring a character to a point that makes me feel a real emotion, he also reminds me of my 33 year old son. I love my son to death. Though some of his choices as an adult haven’t been the best, I would never chastise him for misguided decisions. They were all HIS choices which he has a right to make. He’s a grown man and I treat him as such. I don’t protect him, but I support him. In that mindset, I would never belittle Alex for what choices he’s made, either in his personal or professional life, which I thought were wrong for him. He’s a grown man and should be allowed to succeed or fail all on his own. He needs no help from us strangers, but he appreciates our support. What gives us the right to even think we know what’s best for Alex, when most of us don’t even know what’s best for ourselves? It’s human to make judgments; it’s rude to publish them. When we do something “for love,” it means we expect nothing in return. It is my opinion, and only my opinion, that Alex will not reach out to his fans through any kind of social network because of his experience with the fans that feel the need to control his life for their own sake…all in the name of love. How selfish does that sound? What could Alex possibly say to appease each person with a varying “life plan” for him? He can only ignore them, and to ignore the extremists he needs to ignore all fans. It’s a real shame, but it’s been going on for four years now. I still cringe each time Alex’s name comes up in the middle of some turbulence. Those who are not fans are instantly put off by the drama, and there goes the potential of even more people experiencing Alex’s work. *If you want to comment, please be general. We appreciate no one pointing fingers. I agree wholeheartedly. It sounds like you may have happened upon what I refer to as "hater" sights where so-called fans spend their days berating the man they believe Alex has become, as well as knocking Peter Lenkov, Hawaii, CBS, etc. Alex is a human being living his life, not your personal fantasy man. If you're really a fan, be happy for what success he has obtained and wish the best for him. i'm still trying to figure out why some alex fans talk like they are personal friends. alex talks about his friends and most of them seem to be from the olden days. i don't think any fan is among them. Here here!!! Lady, you said it all. Bravo!! You nailed it. I miss Alex on one hand, but on the other I would not want him to deal with the craziness of what his fandom is now. I remember Moonlight and when we were all 'united'. That didn't last long. It lasted as long as the show did. And that is such a shame. Moonlight would have been limited anyway - vampires don't age. I am so glad I didn't miss out on Three Rivers, TBUP and now H50. I love being his fan. :) Thank you for writing what so many of us feel. Very true very true. As an "origional" fan of this actor and of his accomplishments I feel myself becoming defensive of some of the garbage I read about him and the millions of women who try to live out their little fantasies thru him. ( ps some of his fans are regular dudes!) Its cute at first but gets old.pisses me off when I read from an australian site that aol is finally home to see the son he rarely sees and he is the star of the 'surprise' hit #H50 after a string of failures! Press and obsessed fans drive people like this to dislike and distrust their real fans. Id love to bump into alex one day and shake his hand and tell him how much I admire him but if I had the opportunty id probably cross the street instead because the man probably can't tell the difference between a true fan and an obsessed fan anymore. I guess what you say makes sense. But I am always telling my friends what I think and giving them advice. Maybe I want to think that being a fan of Alex is like being his friend. I don't know, maybe not. Thank you for this article! I discovered Alex through H5-0 and have since watched just about everything he has done. I think he's a wonderful actor and appears to be a very professional and personable guy. How sad that some "fans" have created such an atmosphere of craziness! I enjoy reading about Alex and discussing H5-0 with like-minded fans, but, like Joey, I would not impose upon Alex if I ever chanced to see him in person! I think the whole thing is crazy. None of us really know celebs. We can appreciate their body of work and their bodies for that matter, but we don't know them enough to judge any decisions they make in life. I find it odd that people have enough time to spend being a 'hater'. My life is too full and too busy to spend time on something I don't like. I enjoy AOL and H50 as a diversion from real life and wouldn't invest time in it if I hated it. 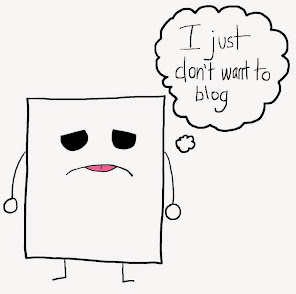 Again, I find it so odd that people bother to blog, post or comment on celebs or shows the don't like. Sound like they need to get a life. : :** Appreciated Mrs is absolute and definitely the best opinion, thought or sentimiento… that I have read since that I admire and respect to Mr O´Loughlin. I can only say that I always demonstrate my loyalty and repeat my greatest respect, for a great professional and a real caballero… Alex O´Loughlin. I accept and support unconditionally, all its decisions; "It is the unique and legitimate owner." To "Anonymous" who commented that she was wronged by a "fan" and banned, please know that I am aware of your situation. I'm sorry you had such a bad first time experience. There are many legitimate fan sites that are supportive of Alex. I hope you continue your support on one of those sites. The comment you left me is too identity specific, and Carol and I felt it was inappropriate for us to post. Thank you for your honesty. One should only give advice when asked for it ...even to friends. And then tread with causion in any case.